Finished Robot Hamlet picturing Hector Diaz who assisted on the project. The mural was painted on the exterior wall of the Kretzmer Building in Sarasota, FL for Florida Studio Theatre. 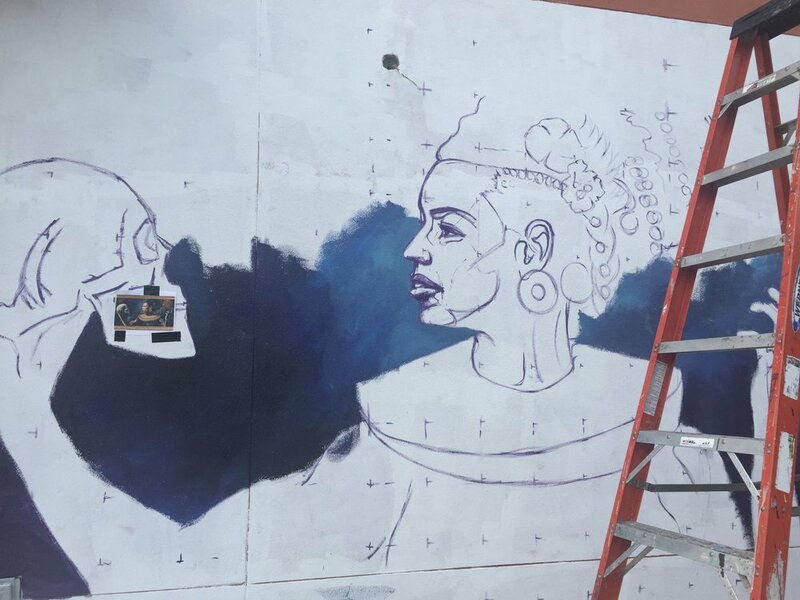 Nate worked with Hector Diaz, an artist from West Palm Beach, FL, on a mural project for Florida Studio Theatre. They were to create two large murals on the exterior of the Kretzmer Building in Sarasota. One mural depicted a woman hamlet holding a skull in her hand. The other depicts a robot holding a robot skull. Both murals offer a different spin and Shakespeare's common Hamlet representation.